In 2017 we welcome a couple of new doctors who have written their PhD dissertation on mining-related issues. On 21 June 2017 Marie-Rose Bashwira succesfully defended her PhD entitled “Navigating obstacles, opportunities and reforms: Women’s lives and livelihoods in artisanal mining communities in eastern DRC” at Wageningen University and Research. An executive summary of the PhD dissertation can be found below. 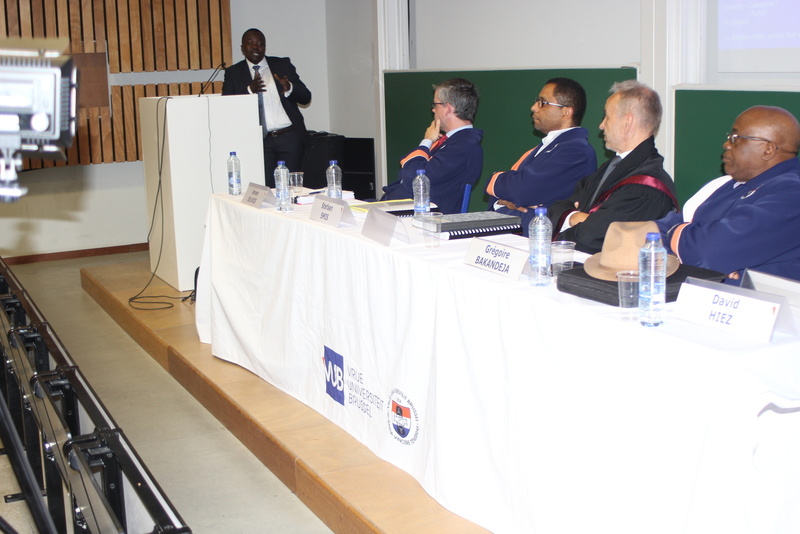 On 5 July 2017 Christian Bahala succesfully defended his PhD entitled “Le statut professionnel de l’exploitation minier artisanal congolais saisi par le droit de l’OHADA. Contribution à l’expérimentation de l’idéal de sécurité juridique dans un environnement d’hybridation normative et institutionnelle” at the Université Libre de Bruxelles. The OHADA legal framework is acknowledged as a modern business framework in Africa. exposed to extensive normative insecurity. suited to their expectations are unveiled. conclusions regarding both the old mining regimes and the current Mining Code. cooperative structures can provide a legal vehicle for collectives grouping “entreprenant”-miners. for a system of illegal taxation of the exploited minerals, which is imposed by force and threats. and subjected to the use of violence. on the same principle: due diligence applied to ‘conflict minerals’. or other goods, and others are engaged in prostitution. mining reforms in eastern DRC? Kamituga) and partly in North Katanga, in the current province of Tanganyika (Kisengo and Manono). in the mining areas. Push and pull factors have merged over time and resulted in complex motives. varying levels of success, to mitigate situations of vulnerability. forming alliances with civil servants. Differentiated discourses on women shape women’s access to the mining economy in different ways. diverse: they have different needs and different motives.